The only electric cabriolet for the city. Enjoying the city atmosphere in the virtually silent smart cabrio electric drive is a very special experience – and a unique one too. It is the only electric cabriolet that has been uncompromisingly designed for city driving. Whether the soft top is open or closed – with a sufficient range for all your day-to-day journeys all options are open to you . 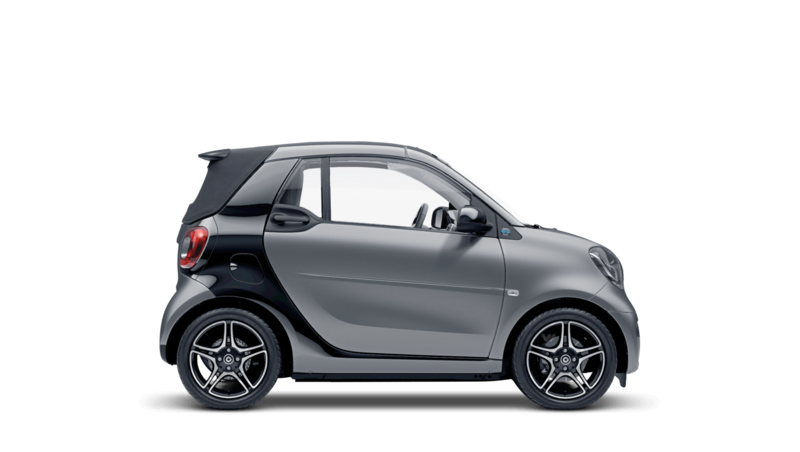 Discover all the latest smart EQ fortwo cabrio offers currently available. Every detail matters, view the smart EQ fortwo cabrio technical specification. Explore the EQ fortwo cabrio specifications.